The city of Salzburg is set like a jewel amidst classical lakes and mountains; the backdrop to the Sound of Music, and birthplace of Mozart. Our selected hotels are both on Wolfgangsee amidst the Salzkammergut lakes within an hour’s drive of Salzburg and offer a classic Lakes and Mountains experience. Your one week holiday will feature a day in Salzburg and an excursion around the lakes including St. Wolfgang. On your free day, enjoy the steamer which plies Wolfgangsee or take a trip on the mountain railway. The Hollweger hotel is our luxury choice offering an exceptional experience. The Gutshof has an equestrian theme, with restaurant and bar area opening on uto the garden in good weather. 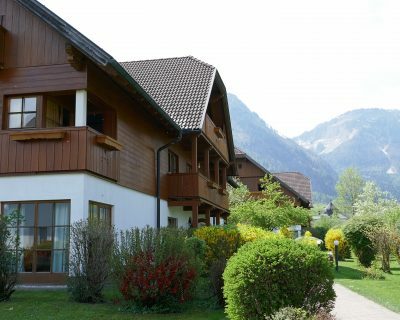 The lake steamer is a short walk away from both hotels with easy access to St. Wolfgang. Your holiday price includes a programme of excursions and a top grade Passion Play ticket. One, or sometimes two, departure airports have been allocated to each holiday. Check our website, or call the McCabe office to find a group travelling from your area. The Gutshof hotel offers has an equestrian theme and offers spacious accommodation set around a large garden and just ten minute walk from the lake. The Hollweger, set in gardens with great lake views, is our luxury choice offering an exceptional experience in the village where Mozart’s mother lived.